Cut to 2012 and here I am living in the “Battle Born” state with my husband and toddler, making a life in the suburbs in a place, which according to a new report by KidsCount, ranks 48th in the nation for the over-all well-being of children. And it only gets worse when you break that down. According to that same annual study, Nevada is 50th in education. Dead last. Setting aside the mini-parent-heart-attack I feel when I do the math on how much time my state has to turn the education system around before my own child enters school, I see much more than some bad headlines in this news. In truth, in my 13 years in Las Vegas, bad news has been more de rigueur for my adopted home state. It has made headlines for being in the top five states with the worst suicide rate since before I moved here. We have ranked first in domestic violence homicides for four of the past five years. Just today news broke that Nevada is at the top of a list of the 10 states with the worst credit conditions. It’s no wonder, really. We have been No. 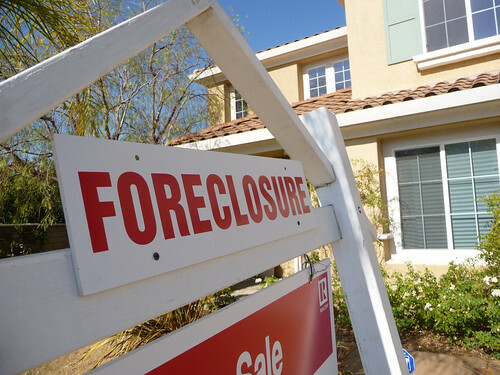 1 in foreclosures for the past five years and we beat the national jobless rate by four points at a July 2012 rate of 12 percent (12.9 percent in Clark County, where Las Vegas is). So, there’s a part of me that’s already been beaten down by so much bad news about Nevada. The only thing you can do is laugh, or you’ll cry. Hell, it’s so bad, even presidential candidates want to avoid talking about these hot issues when they come campaigning in my swing-state. You want to talk desperate times? Come see me in Las Vegas. Every single house on my block went foreclosure a couple years ago — within months of each other. I don’t need to read bad headlines and watch CNN to see the frontlines of this bad economy. It’s right here. In my backyard, front yard, side yard, and down every street I drive. So, with all that bad news, why should I focus so narrowly on this education ranking? Well, for one thing, Nevada’s going to have a much harder time bouncing back if we can’t lure better job-providing companies here. And, from what I hear, people with jobs often have kids. But more importantly, as someone who does make a home with my family right here in such a battle-worn place, I don’t want to see everything keep crumbling around me. I don’t want Las Vegas to become the next Detroit or Compton. And while a lot of people I know have basically given up and fled, my husband and I can’t afford to just pick up and move because we are one of those 71 percent of all Las Vegas homeowners who are under-water on our mortgage. Besides, this is my home. And haven’t you heard? It’s hard all over. But you know what turns things around? Jobs, yes. But the long-term solution has to include a solid investment in education and access to books (aka literacy). Those days are gone. And it’s time to wised up, in more ways than one. The only way a state like mine gets out from the bottom of the heap is by a total makeover. We have to challenge everything we ever thought worked because the time and climate when those ideas worked is long gone. That was then, this is now. And it has to start with putting a premium on education. There is a proven correlation between high school drop-out rates and poverty. In fact, according to a recent DOE report (PDF), over a lifetime a drop-out will earn $630,000 less than a high school graduate. And this doesn’t even factor in the quality of jobs available to a drop-out, access to health care and health insurance, and many other factors. What can America learn from one of the so-called worst states in the union? Perhaps more than you realize. In fact, in many cases, Nevada is just taking the bullet for some other state who is doing damn-near the same thing. Diversify your economy. Pay attention to gender and race inequities. And vote for education and libraries every single chance you get. Another version of this appeared on IVN earlier this week.